On 10/4 I sent my photo, LOR, SASE and gold sharpie to Sophie Turner. Two weeks I later I received my SASE with an unsigned photo, my letter and my unused marker. 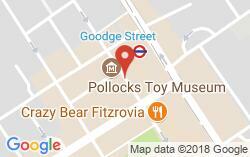 Address used: Independent Talent Group Ltd 40 Whitfield Street London W1T 2RH UK First time in several years since I have received an unsigned item in my SASE. First off, I am thinking these are AP's unfortunately. I cannot find any differences in all three signatures Sent: 4/10/2017 3 photos Received: 5/03/2017 Used address in database Input is wanted. Please tell me your opinion! !